According to observations of SpaceX booster movements at Cape Canaveral Air Force Station on July 24, it appears that the company will reuse a Falcon 9 Block 5 booster for the first time ever on August 4, just over a week from today. 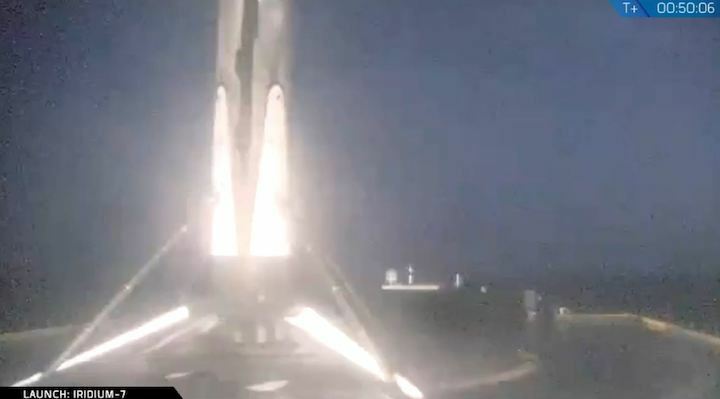 Independent of the booster flying, SpaceX will also break their internal record for drone ship recovery turnaround if they manage to launch and land another rocket on the 4th, just 14 days after Of Course I Still Love You’s July 21 (EDT) booster recovery. The Telkom 4 (Merah Putih) communications satellite will be sent by SpaceX to a geostationary transfer orbit and will become the second heaviest satellite ever launched by the company while still recovering the Falcon 9 booster, weighing in at around 5800 kg. While SpaceX’s launch and landing for the record-breaking 7080 kg Telstar 19V mission may appear more impressive at face value, it’s likely that Telkom 4 will be even more taxing for the rocket, thanks to the much higher geostationary transfer orbit the satellite will most likely be placed in. This will be SpaceX’s third Falcon 9 Block 5 launch in less than two weeks if the schedule holds. More important than the schedule, perhaps, is the fact that it would appear that SpaceX intends to reuse the first Block 5 booster (B1046) for this particular launch. To lay out the foundation of this claim, it’s known that SpaceX’s CCAFS Pad 40 integration facilities are only capable of fitting one booster and the strongback (transporter/erector/launcher, TEL) at a time, evidenced both by sourced comments and views inside the hangar. 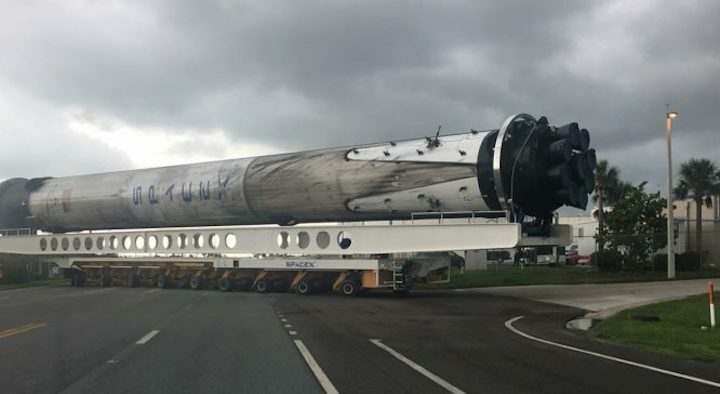 Meanwhile, an unmistakeable Block 5 booster – with black interstage and octaweb coverings – was spotted being transported through Cape Canaveral Air Force Station (CCAFS) earlier this week, just after Falcon 9 B1047 launched (July 21 EDT) and freed up space for another booster inside the horizontal integration facility (HIF) at Pad 40. Given that only one Block 5 booster has been recovered on the East Coast and that B1047 was still out at sea earlier this week, the sooty booster traveling through CCAFS thus has to have been B1046, and it was making a beeline for LC-40. Just one week before Telkom 4’s scheduled prelaunch static fire (July 31), there is no conceivable reason that SpaceX would bring a booster not immediately needed for launch into Pad 40’s HIF. 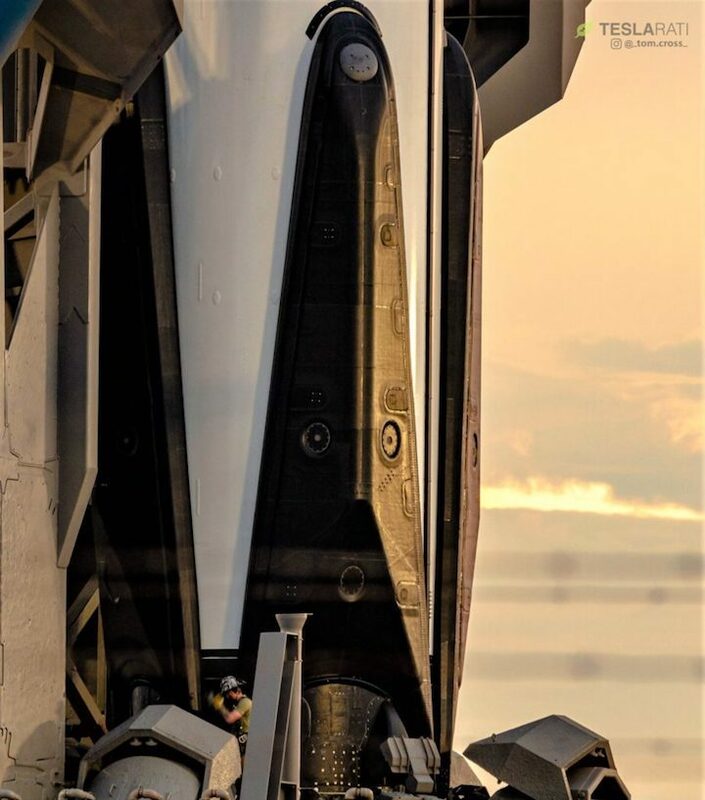 As such, it can be all but guaranteed that Falcon 9 B1046 will be reflying for the first time, marking the first critical reuse of a Block 5 booster and hopefully the first of many dozens or even hundreds of reflights for the Block 5 fleet over the next several years. Autonomous drone ship Of Course I Still Love You arrived at Port Canaveral with Falcon booster B1047 in tow around dawn, July 25. 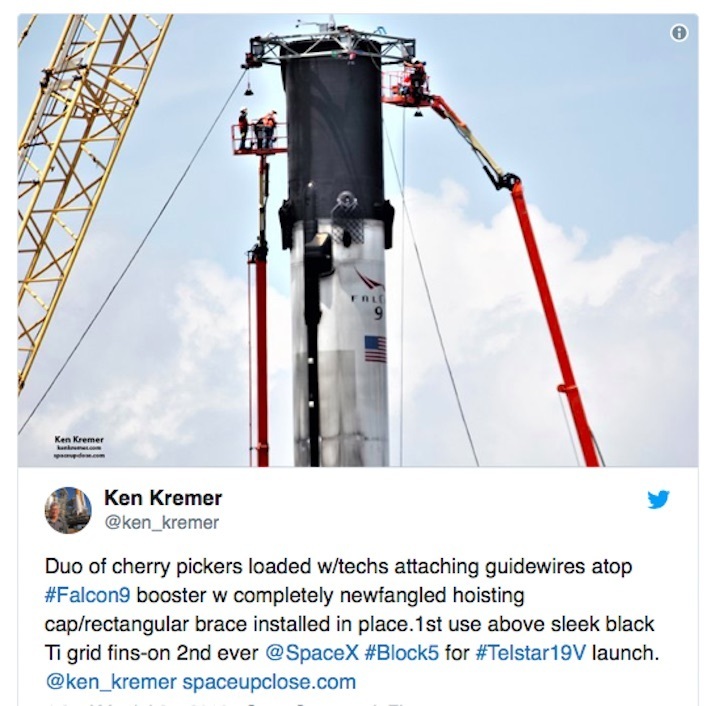 Since then, the booster has been offloaded onto SpaceX’s Port Canaveral berth space and is perched atop its stand while crews of technicians and engineers have focused on its legs. It appears that they may be removing them outright, but the fact that nothing has been visibly removed at this point suggests that there is still a chance of leg retraction, an important Block 5 upgrade required for truly rapid reusability. It also appears to be the debut of a brand new connection apparatus at the top of the interstage, purpose likely related in some way to leg retraction. Stay tuned for more updates and official visual confirmation as SpaceX tracks towards a July 31/Aug 1 static fire for the booster and a Telkom 4 launch date of no earlier than August 4, 1:19 am EDT/05:19 UTC.